I, like most savvy mamas, like a good bargain and I'm always looking out for the best deals, voucher codes, free delivery offers or when big sales start. I can also be a bit of an eBay addict. 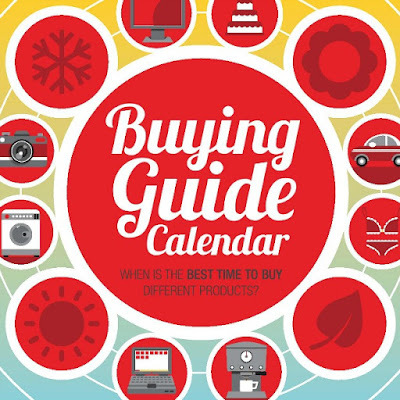 That's why when I saw the following 'buying guide calendar', I wanted to share it makes a good reference guide as to when you can pick up different items at the best prices. Having previously worked in retail, and being a regular shopper at many shops so much so that I've started to notice their sales patterns, I know that stock is rotated according to demand and the seasons always push certain products forward - and the bargains start to come out.